The care you need—the independence you crave. Assisted Living creates the perfect balance between activity, engagement, and relaxation. Our communities offer residents an active and independent lifestyle coupled with a full slate of care services provided as you need them. We strive to build an environment with plenty of choices designed to foster your preferred way of life. From simple housekeeping and nutritious meals, to hygiene and healthcare, we strive to keep you healthy, happy, and cared for. Your plans, interests, and goals are our first priority. We’re ready to do everything we can to help you live life to the fullest. Looking for daily living assistance in the comfort of your home? Please consider our home services division, Eden Health. We pride ourselves on creating a homey environment. Our residents enjoy maintenance-free living in a choice of attractive senior-friendly living spaces designed for comfort and safety. 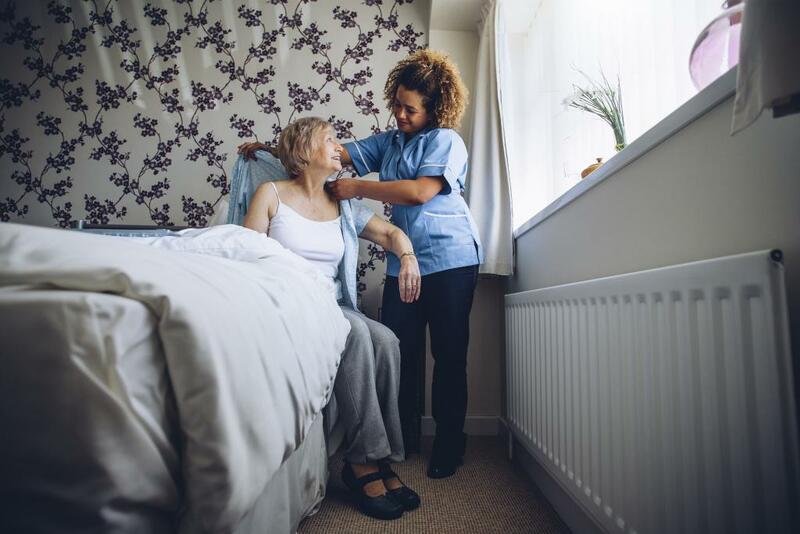 We are committed to providing a lifestyle that preserves your dignity and independence, and that gives your family and loved ones peace of mind to know you are comfortable and well cared for. Expert health care and personal assistance. We offer a range of care services designed to enhance quality of life and improve health and safety. Whether you need a lot or just a little assistance — we’ve got you covered. Listed to the right are services you are likely to find at our assisted living communities. Some services may require additional costs. Please contact your local community for details. Residents and their families will feel immediately at ease in our beautiful communities, comfortably appointed common spaces, and professionally landscaped outdoor gardens. Better yet, they’ll feel the peace of mind and security that comes from knowing that every team member loves what they do, and treats each resident like a treasured member of the family. We incorporate some of life’s luxuries into each assisted living community. Enjoy the convenience of community-provided dining and housekeeping, as well as numerous planned activities. 3 nutritious meals served daily. Wellness programs, outings, cultural, and social events.